Our shelters are easily modified to suit the needs of anyone. The handicapped and elderly no longer need to worry about finding accessible safety in the face of the storm. Since a tornado only happens rarely, our standard storm shelters are designed for short term occupancy. They have standard features like ventilation for fresh air and bench seating to make the shelter a comfortable place to ride out a storm. However, commonly our customers want some added comforts built into their units. 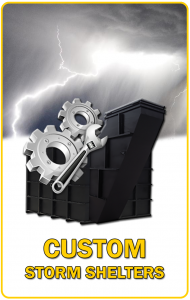 The good news is our custom steel shelters can be completely upgraded to have a centralized electronic locking systems (for scenarios where there are multiple shelters located apart from one another), be handicap accessibility, small restrooms and more. We’ve listed some of the features we commonly upgrade below but if there is something specific that you’d like and you don’t see it listed; don’t hesitate to ask. We pride ourselves on making the best shelters in the world and we have yet to encounter a request that we couldn’t accomplish. If you can imagine it, we can build it! Being inside a shelter can be a stressful situation for everyone. This shelter was upgraded to have a full restroom facilities. 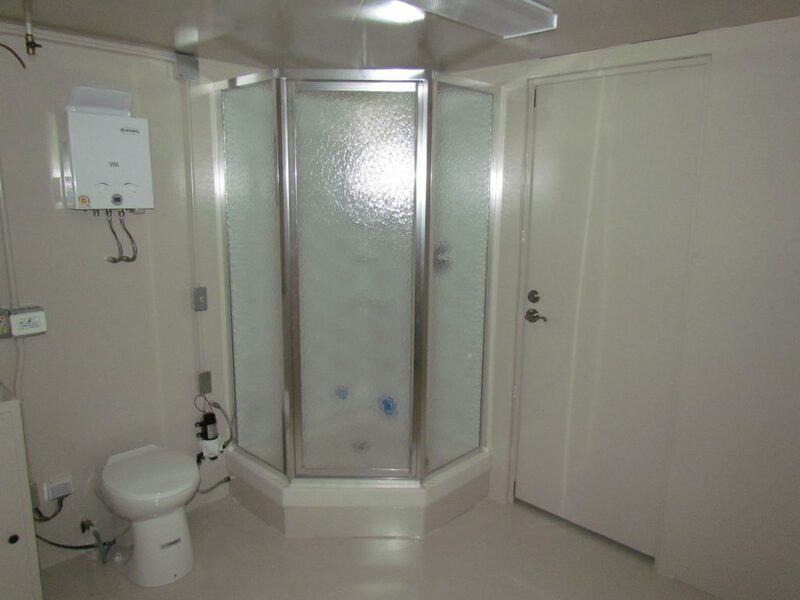 Including a sink, an upgraded shower with on-demand water heater and traditional wet toilets & plumbing; occupants will have the comfort of a private restrooms while in the shelter. The shelter is wired for high voltage power with solar powered back up electrical systems. 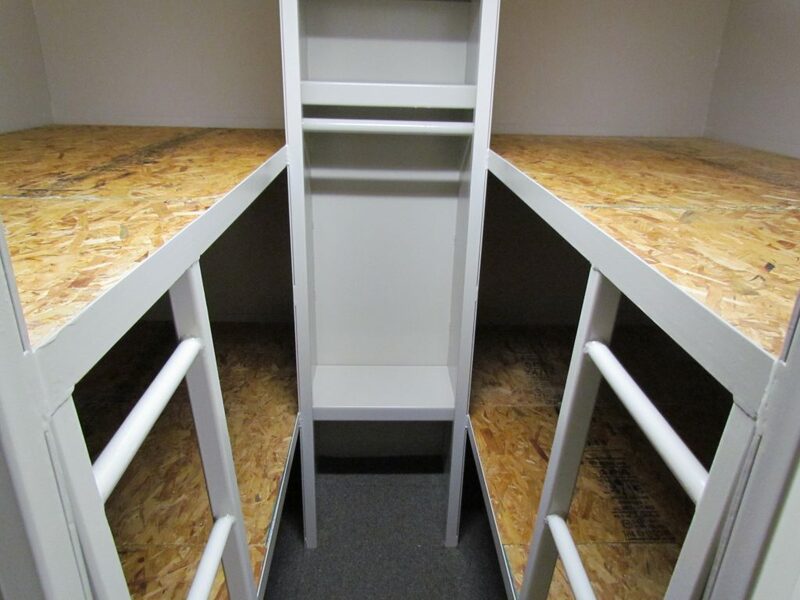 Bunk beds and a small closet area were added to this storm shelter layout and the unit was finished off with wall to wall carpeting making it a very comfortable place to ride out any storm. This shelter was upgraded to have a standard restroom facilities. 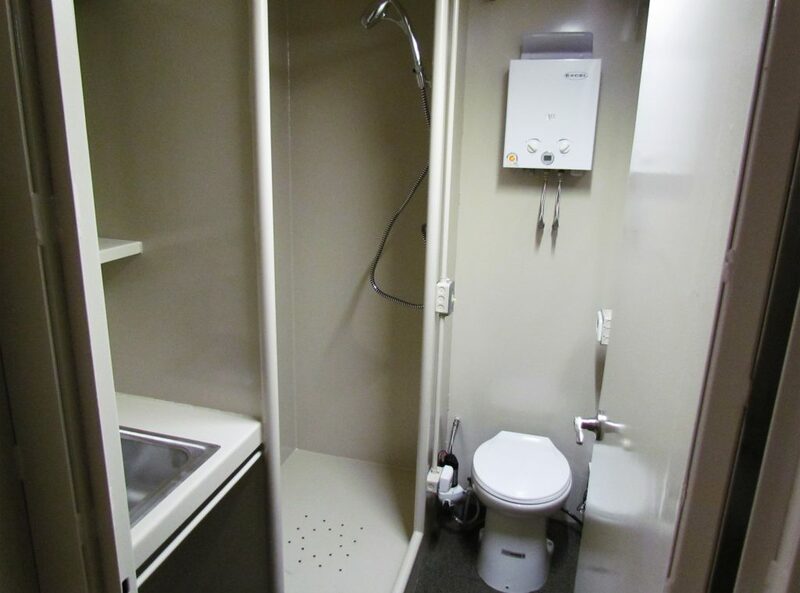 Including a sink, an standard shower with on-demand water heater and a composting toilet; occupants ride out the storm in comfort. The shelter is wired for high voltage power with solar powered back up electrical systems. 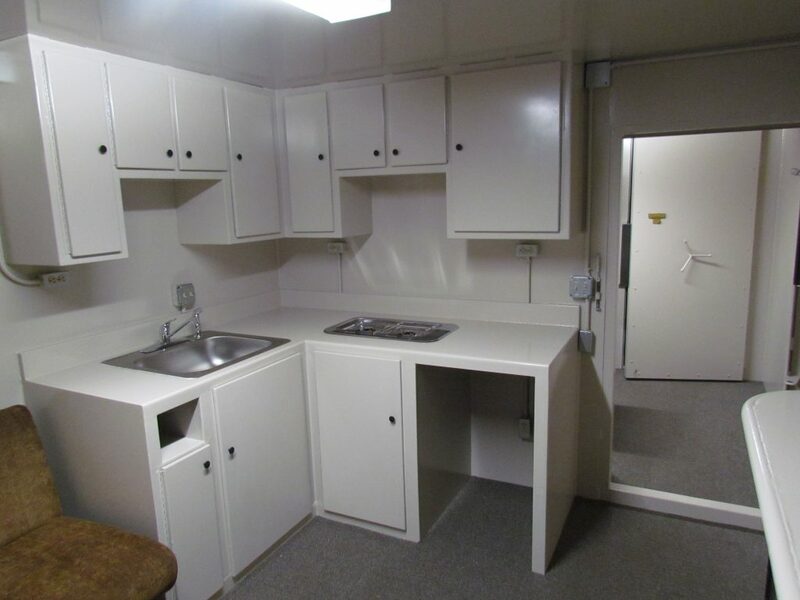 This customer had a mini kitchen installed just in case they had to spend more time in their shelter than expected. This shelter also has carpet among other upgrades. Carpet can completely change the feel of a room instantly adding warmth and some of the comforts of home.